FreshMail is a powerful email marketing service which receives a 4.5 rating on Capterra as well as on GetApp. Using this service, one can easily create and send effective email marketing campaigns in just a fraction of time. Also, you can find out who is opening your newsletters and clicking on the links in your email messages via a real-time email tracking feature. Still on an average of more than 400 people are looking for FreshMail alternatives every month. You cannot clean out bad and inactive email addresses from your mailing list. And sending emails from your outdated email list eventually results in increased bounces, & spams rates of your emails. No inbox deliverability guarantee, sending emails in bulk which will be landing in the spam folder rather than inbox is the wastage of your money as well as your time. Lack of some key features like subscription forms, drip automation, contact segmentation and a lot more. According to some reviews on Trustpilot, we find that users are fed up with the customer support of FreshMail which is obviously not acceptable. If you are also failing to meet your expectation with Freshmail email marketing service and looking for its alternatives then this blog is made for you. Here, in this article, we have compiled a list of 10 best FreshMail alternatives which are reliable, affordable and has easy to use interface. Have a look at each FreshMail alternatives in detail along with its pricing and features. 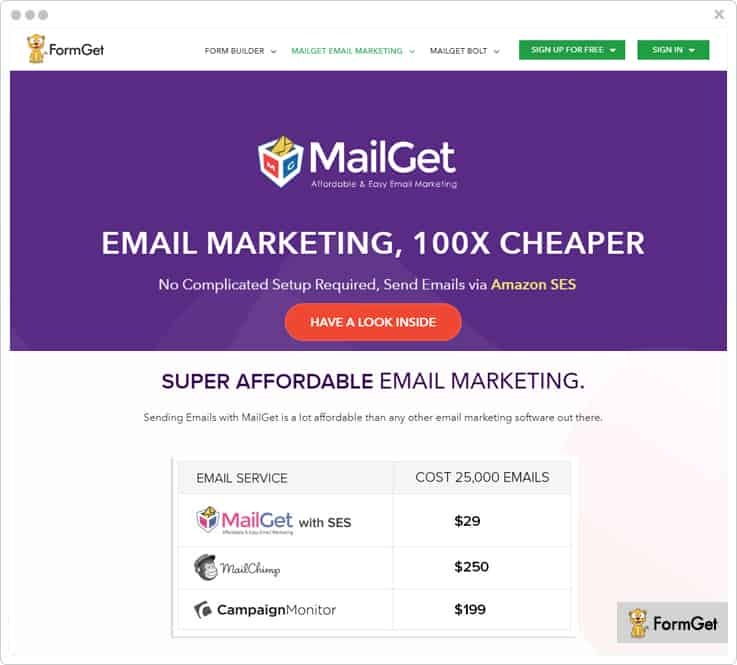 MailGet Bolt is the best email marketing service by which you can easily create various promotional emails & send them to the targeted audience in a matter of minutes. Using this affordable tool, you can create emails create personalized emails via in-built drag and drop email builder. Also, it consists of more than 500 custom designed email templates which you can customize according to your need. Some of the key features of this software are an automatic responder, drip emails, list management, email tracking and a lot more. List Cleaning – You can clean out your email list from spam, suspended and bounce email contacts easily with the help of this feature. This helps you to increased subscription and delivery rates of your emails by filtering out bad & inactive emails. Subscription Forms – MailGet Bolt allows you to create and embed sign up forms in your website and capture more leads. This helps you to create a contact mailing list quickly & reach the targeted audience in minutes. Inbuilt SMTP – As we know, connecting SMTP is a hectic work, that’s why to ease your work this software provides an inbuilt SMTP. Starter Plan – You can buy this product at $9/Month where you can send emails to 2,500 subscribers, along with all the useful features. Rookie Plan – Send emails to 5,000 subscribers at a minimal cost of $19/Month and get features like email builder, autoresponder and more. Pro Plan – Purchase this plan at $34/Month and send emails to 10,000 subscribers along with 10 monthly campaigns, custom tags and more. Advance Plan –This plan will cost you $49/Month where you can send emails to 15000 subscribers with automatic follow-ups and support. Note:- This software provides you with a free trial for a time period of 1 month where you can send 300 emails/day. 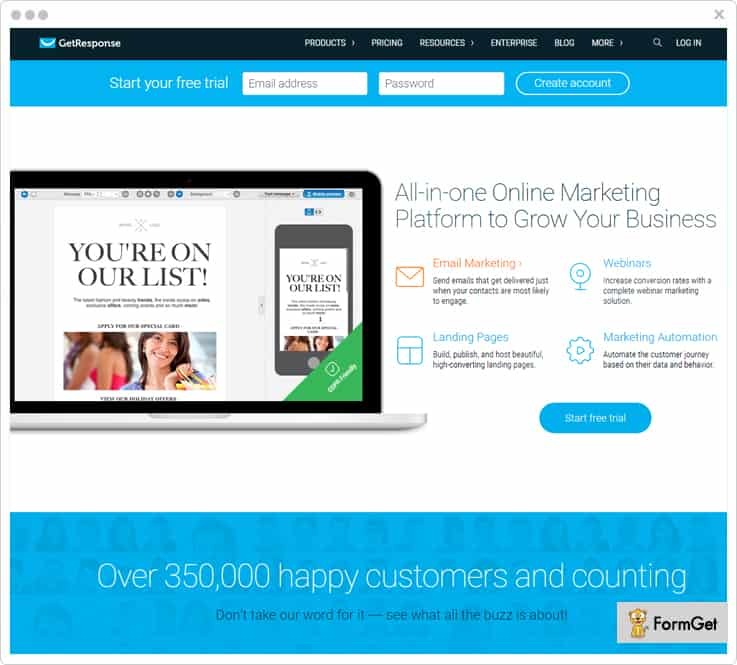 If you want an all in one email marketing service, then MailGet is the best solution for you. It gives you all the tools that you need for your professional marketing campaigns. You can easily track sent, click, open and unsubscribe details on all your email campaigns with the help of inbuilt email tracking feature. The best part about this software is, you can add as many SMTP relaysas you want and send emails through multiple email delivery vendors. Subscriber Segmentation – This feature helps you to make subgroups of your mailing list on the basis of customers behavior on your emails. This helps you to target audience and send emails to the targeted audience. Scheduling Of Emails – You can create an email now, and schedule it to be sent automatically at the specific time. It helps you to send email to your international clients on their time zone. List Management – Using this feature, you can manage the email lists and customer’s data in an organized manner. This software has various pricing plans varied on the basis of the number of subscribers. For sending emails to 5000 subscribers, you can buy the starter plan of this service at $5/Month along with all essential features. Purchase Rookie plan at $29/Month and send emails to 25,000 subscribers with all the essential features of email marketing. Note:- Its Advanced Plan comprises 9 more pricing plans with the highest plan of $672 for sending 1,000,000 emails. 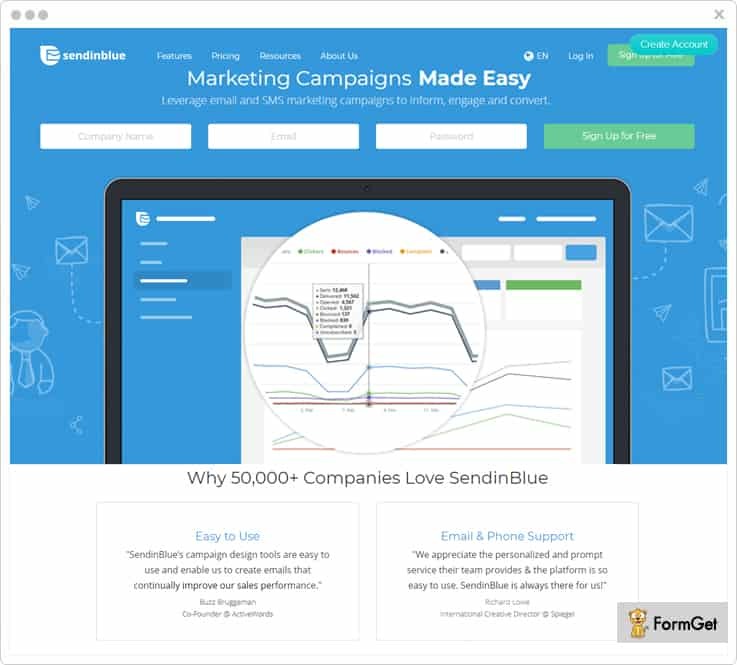 SendinBlue is one of the most desirable FreshMail alternative using which you can easily design beautiful, result-driven email campaigns in no time. You can personalize emails with contact’s details which increase your user engagement. It also offers you an inbox preview feature by which you can test and optimize your campaigns before sending it to your clients. Campaign Tracking – You can get information about various metrics of your emails like deliverability, open rate, click-through rate, etc. Further, using this service, you can export your campaign reports in .CSV format with ease. Deliverability – SendinBlue offers high inbox delivery with the help of dedicated IP’s. Plus, it uses SPF, DKIM, and DMARC authentication measures which increases your domain reputation. Integrations – You can integrate various apps in your email marketing service some of them are Shopify, Google Analytics, Facebook and more. This helps you to increase the functionality of your marketing campaign. Free Plan – Send 300 emails/day only at $0/mo, with unlimited contacts and essential features. Micro Plan – Available at $25/mo where you can send 40,000 emails along with all the essential features. Bronze Plan – You can buy this service at $39/mo where you can send 60,000 emails with advanced email statistics. Silver Plan – Purchase this service at $66/mo and send 120,000 emails with unlimited automation workflows and advanced statistics. Moosend enables you to create awesome emails by using its drag & drop editor and send these emails with maximum inbox delivery rate. With its automation feature, you can create automated workflows, sync up data and automatically send emails to a list of people. Apart from this, you can grow your business by integrating it with the other tools and platforms that will help to acquire new customers. User Interface – Great user interface is provided by Moosend and there are guidelines for the first time users so that further they can build their own transactional emails. Tracking – You can easily download all the analytic reports from your Moosend account by a single click of a button and use them as you wish. 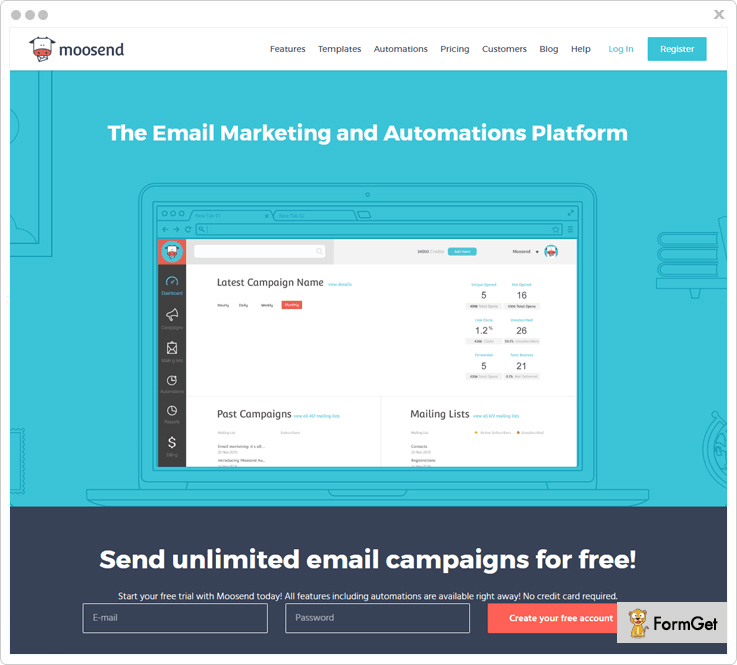 Manage – With Moosend you can create, manage, grow and scale your email marketing campaigns from the single platform. Enjoy unlimited email sending up to 1000 subscribers by using a free plan. Utilize $40 plan that helps you to send unlimited emails up to 8,000 subscribers per month. Per month offers $20 plan where you can send as many emails up to 3,000 subscribers. Note:- Comes with the 6 months and yearly plans where you can save up to 15 & 20 percent respectively. whereas, occasional senders can also enjoy our “pay-as-you-go” plan by paying for each email. One of the most user-friendly email marketing service which allows you to design emails and send them in bulk. Also, it provides you 25+ professional email templates, where all you need to do is change the email content according to your need. 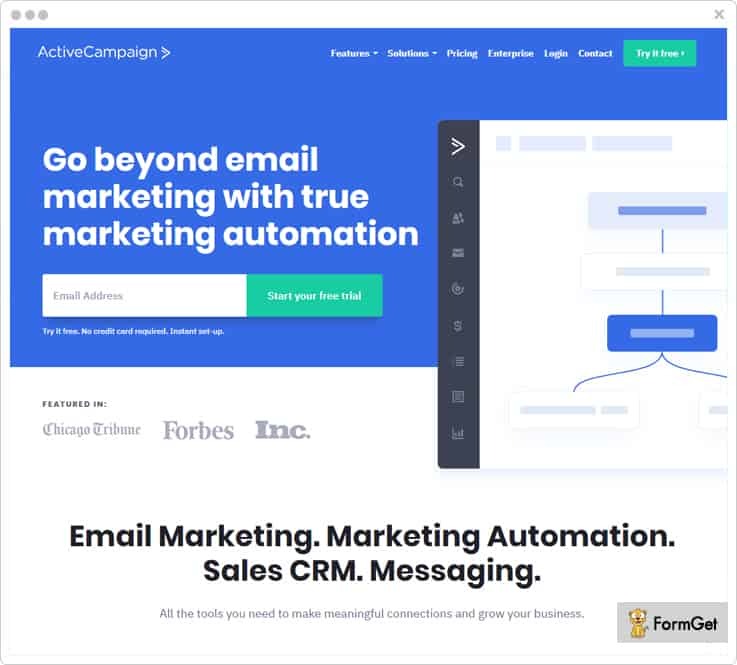 It offers integration functionality, you can connect your email marketing service to your favorite apps like Facebook, Salesforce and more. Geotracking – This feature helps you to capture your contacts location for geo-targeted campaigns. Further, you can integrate this tool with Google analytics which helps you to track your email details such as open, & click through rates etc. Audience Segmentation – Use this feature to make a list of your contacts on the basis of their interest and similarities. This helps you to personalize each email based on what you know about individual contact. Subscription Forms – You can create forms and embed them on your website for collecting leads. Plus whenever a new lead is captured this tool immediately notifies you. There are 4 different pricing plans where you can send emails to 500 contacts with ease. Lite Plan – You have to pay $15/mo where you can send unlimited emails along with full chat & email support. Plus Plan – Buy this plan at $70/mo where you will get all the essential features & prioritized support. Professional Plan – Purchase this service at $159/mo and get complete marketing automation features. Enterprise Plan – Send unlimited emails to your contacts at just $279/mo with prioritized phone support and advanced features. Note:- These prices plans are billed monthly. However, plans billed annually will cost you comparatively low. 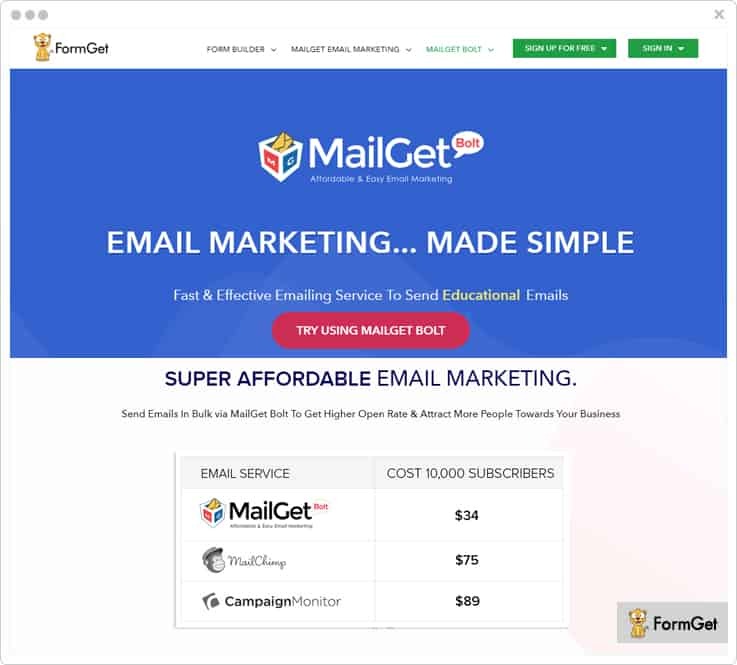 Mad Mimi is one of the easiest yet effective email marketing service which offers a wide range of tools for small and medium-sized businesses. 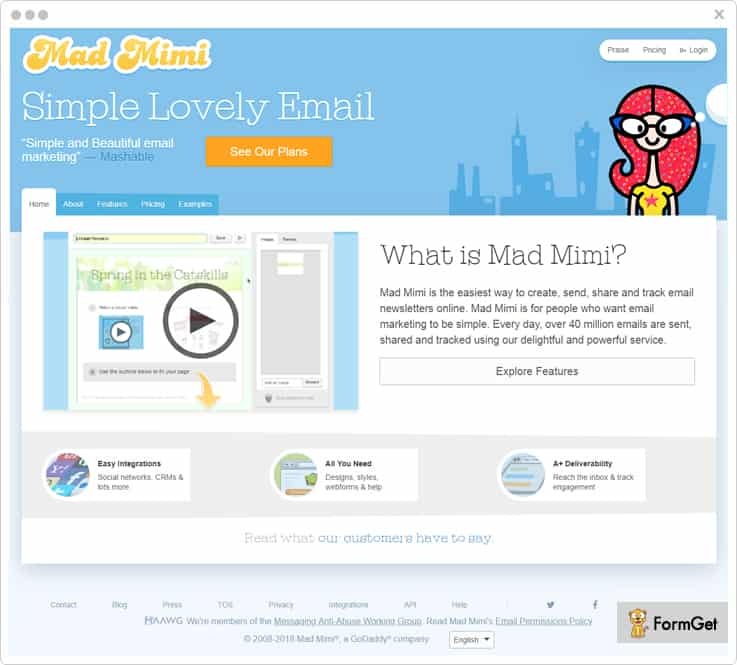 Getting started with Mad Mimi is very easy as you can manage your email marketing in a more promising way. It connects seamlessly to most platforms including Google Analytics, Salesforce, Zoho CRM and more. Real-Time Tracking – You can track your emails and get complete metrics like who opened, click and share your emails. It provides various useful pie charts to target individual information. Moreover, you’ll get to know exactly how each customer interacts with your emails. Delivery & Security – Mad Mimi is using an SSL to keep your information safe and secure during email transmission. Also, it has a great relationship with ISPs which ensure that your emails get delivered in minutes. List Management – You can manage the contact list and organize the contact list on the basis of customers likes, dislikes, similarities and more. There are different pricing plan available for this service varied on the basis of a number of contacts. Basic Plan – Buy this plan at $10/mo where you can send emails to 500 contacts along with all the essential features. Pro Plan – This plan is available at a minimal cost of at $42/mo where you can send emails to 10,000 contacts along with priority support. Silver Plan – Purchase this plan at $199/mo and send emails to 50,000 contacts along with faster email deliverability. Gold Plan – Get this plan at $1,049/mo and send emails to 350,000 with all the advanced features and high speed. It is one of the most popular email marketing solutions which allows you to design smart email campaigns and send them in bulk with ease. Campaign Monitor comes with a beautiful email template editor and mobile friendly signup forms. You can embed the sign-up forms anywhere on your website, your customers can subscribe to your services with ease. Moreover, you can get complete email analytics and get to know about your email campaigns performance in just a few clicks. 3rd Party Integration – For adding extra functionalities to your marketing tool, you can integrate various apps into your email marketing service. Some of them are Shopify, Salesforce, WordPress and more. Drag-and-Drop Email Builder – You can create millions of responsive email templates in a few minutes. All you have to do is just move or arrange content blocks wherever you want during email creation and customize them according to your need. Segmentation – Admin can manage their mailing list by segmenting the contacts on the basis of user behavior on your emails. This helps you to achieve high click-through rates and better delivery of your emails. For sending emails to 2500 subscribers, you have to buy this tool at $29/month where you can send 12,500 emails across each campaign. If you want to send 25,000 emails to 5000 subscribers then, you can buy this plan at $49/month and get complete email metrics with ease. Another plan is available at $89/month where you can send 50,000 emails to 10,000 subscribers along with all the essential features & support. Buy this software at $129/month and send 75,000 emails to 15,000 subscribers with advanced features and prioritized support. GetResponse is the best solution for you if you want to convert your website visitors into your customers by sending personalized emails to them. This software helps you to promote your business by creating and sending useful emails to your clients based on their likes & dislikes. Also, you can choose from more than 500 prebuilt email templates present in this tool which you can customize according to your need. Autoresponders – It gives you an autoresponder so, you can communicate with users from the moment they sign up with your service. Email Tracking – You can get to know your email campaign status like open, and click through rate of your emails with the help of this feature. Contact Segmentation – Admin can segment their contacts based on customer activity & engagement on their emails. Further, you can create a mailing list in a well-organized manner. Email Plan – Send emails to 1,000 contacts at a minimal cost of $15/mo along with all the essential features. Pro Plan – This plan is available at $49/mo where you can send emails to 5,000 subscribers with complete marketing automation. Max Plan – Get this plan at $165/mo and send emails to 10,000 contacts along with all the advanced features. Enterprise Plan – This plan cost you $1,199/mo where you can send emails to 100,000+ subscribers along with prioritized support. You can consider iContact as an important FreshMail alternative. The reason is, it has all the features that you need for your email marketing at a price you can afford. It helps you to build your own email layout or choose a design from the customizable template library. Further, the service offers you a spam check functionality which allows you to test your message before sending it to your customers. Performance Reporting – This tool helps you to get performance reporting of all your email campaigns. You can get individual’s open and click rates of your emails. Subscription Forms – You can easily design and embed custom sign-up forms on your site and collect leads with ease. Salesforce Integration – It helps you to connect your Salesforce account with this service and create, send, and track emails without ever leaving your Salesforce dashboard. This helps you to optimize your campaigns and reach more contacts easily. Essential Plan – This service pricing plan is varied from $14/M to $299/M on the basis of a number of subscribers. You will get all the essential features like drag and drop editor, reliable sending with spam check and more. Professional Plan – Costing of this plan is varied from $99/M to $369/M on the basis of a number of contacts. Here, you can get all the advanced features like subscriber list management, pre-built design template library and more. 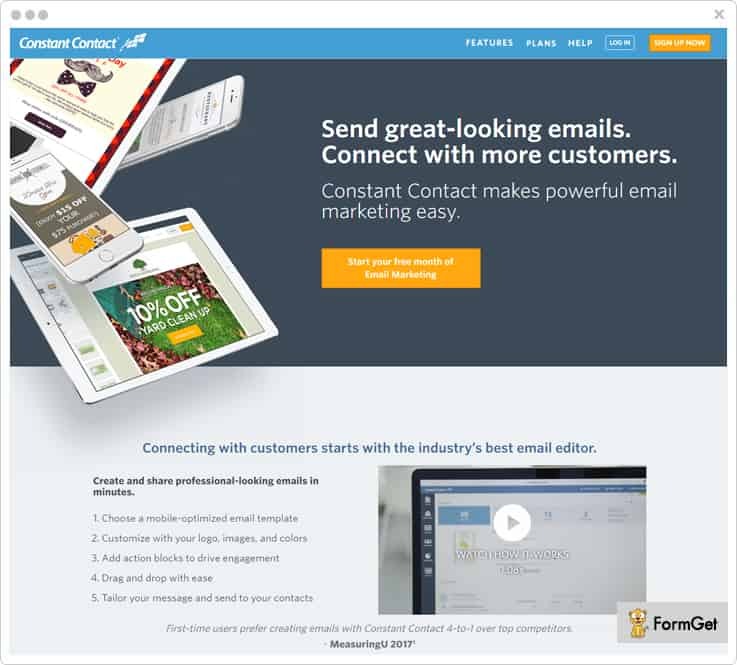 Constant Contact email marketing software makes it very easy to create, share, and track emails campaigns. You can design professional emails and promote your business by sending the right email to the right person. Segment Contacts – You can manage your contact list by subgrouping your contacts. Also, you can easily import your contact list from Excel, Gmail, Outlook, and more. Real-Time Email Reporting – Admin can track their emails with real-time reporting and know who is opening, reading, forwarding & clicking on the links of their emails. Apps Integration – It allows you to integrate your email marketing service with various applications such as Facebook, Outlook and more. Email Plan – This plan is available at $20/mo where you can get various features like list-building tools, tracking & reporting, customizable templates and more. Email Plus Plan – At just $45/mo, you will get powerful features like image library, email scheduling and more. 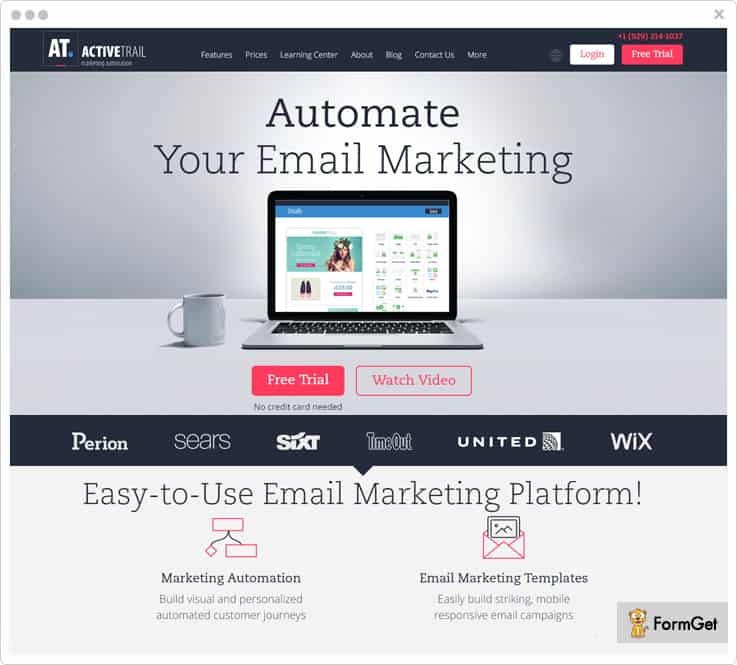 Using this FreshMail alternative, you can automate your email marketing by building visual and personalized automated emails. Moreover, there are various advanced functionalities present in this software. Some of them are unlimited landing pages, unlimited automation, advanced analytics and a lot more. Easy Integrations – You can integrate your email marketing campaign with popular apps and services like Zapier, SalesForce and a lot more. Online Surveys – It allows you to create & publish surveys with a variety of question types for your subscribers. It helps you to get feedback from your customers in real-time. Payment Gateways Integration – The noteworthy feature of this software is you can integrate with PayPal. This helps you to collect money from your users directly from a reliable payment gateway. Buy the plan at $7/M and send emails to 500 contacts along with all the basic features of this service. You can get this tool at $12/M where you can send emails to 1000 contacts along with unlimited emails. Send emails to 2500 contacts at just $24/M along with all the advanced features and prioritized support. 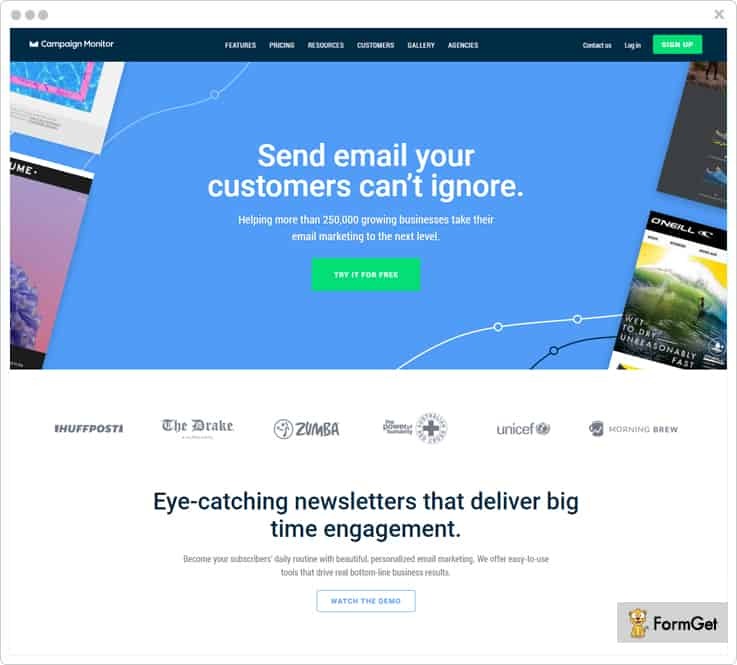 For sending emails to 5000 contacts, you can buy this tool at $38/M along with all the essential features. In the end, we hope that you understand each and every aspect of this article and able to find the appropriate alternative for your current email marketing service. You can choose any of the above tools by comparing its features and pricing as each software has its unique functionality. Further, if you have any doubt you can ask in the comment section below. You can also read the blog Google Forms Alternatives for best online form builder software.